Katie Fisher is ecstatic. Pro basketball star Brady James has proposed, and she can’t wait to start planning their life together. She’s confident she’ll make it down the aisle this time–but it still may be easier said than done. A high-society Houston bride has Katie and the Cosmopolitan Bridal team scrambling to get the perfect dress done in time for her spectacular wedding. Meanwhile, Katie finds herself bombarded with everyone’s competing visions regarding her own special day–and she’s beginning to worry that her own ideas will get lost in the crossfire. Will she ever manage to settle all of the details for her perfect day? Or will bridal shop chaos and overzealous friends and family make a mess of everything? 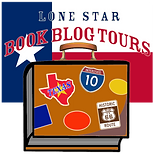 Fan favorite Janice Thompson gives readers what they’ve been clamoring for: another funny, romantic romp with a Texas twang. Things don’t always go as planned, especially in the wedding biz. Several years ago I baked a gorgeous four-tiered wedding cake for a friend’s big day. I assembled it at the reception hall, stood back and smiled, and then headed to the wedding, several miles away. When I returned to the reception hall after the ceremony, I found the cake table empty. Empty. As in, completely devoid of cake. I stood there, rubbing my eyes, hoping I’d somehow stumbled into an alternate reality. I hadn’t. Turns out, the cake had stumbled. Or, rather, tumbled. Ugh. What a fiasco! I wanted to run and hide, to say the very least. But slipping out of the back door was impossible. My family insisted I stay and face the music. Then something rather miraculous happened! The (very gracious) bride not only forgave me for this catastrophe, the guests ended up falling in love with the yummy chilled cake, which was covered in cream cheese frosting and filled with strawberry preserves. It was truly one of the tastiest cakes I’d ever made, and being in the fridge made the flavors more pronounced. 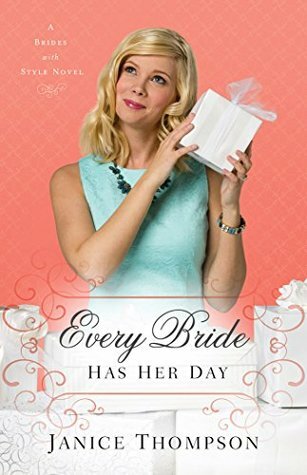 What does this story have to do with my latest book, Every Bride Has Her Day? Everything! In my story, Katie is about to celebrate her big day in her hometown of Fairfield, Texas. She’s marrying the love of her life, Mavericks player, Brady. But in the 11th hour everything goes wrong. Katie’s not sure there will be much to salvage. But, like that tasty wedding cake, things turn around in a hurry. Her big day ends up being a huge success and she’s thrilled with the outcome. That’s how life is, not just here in Texas, but all across the globe. Stuff happens. Unexpected stuff. Crazy stuff. Icky stuff. But sometimes, in the very midst of the not-so-great stuff we find unexpected moments of wonder and awe. The goal? We’ve got to keep our eye on the prize! Janice Thompson is an expert at pulling the humor from the situations we get ourselves into and offers an inside look at the wedding business, drawing on her own experiences as a wedding planner. She is the author of the hugely popular Weddings by Bella series, the Backstage Pass series, and the Weddings by Design series, as well as Every Bride Needs a Groom and Every Girl Gets Confused. She lives in Texas.